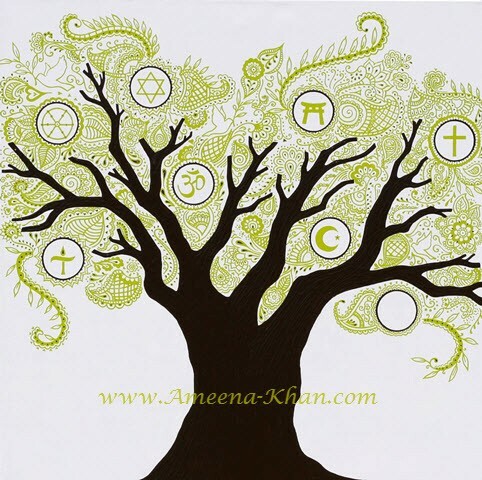 The subject of "Family Tree" is an olive tree whose foliage is painted using traditional South Asian mehndi designs. The foliage contains a collection of doves holding olive branches, as well as circles containing symbols representing various religions. One of the circles remains empty to represent both the many faiths that I could not include (for lack of space), including atheism or agnostic beliefs. Regardless what one believes, or does not believe, we are all part of the human family.